For most Americans, vaccination is an ordinary and accepted part of medical care. Walk into any pediatrician’s office and you can witness the humdrum of checkups and the vaccines that come with them. Recently, however, a debate centered on some parents’ refusal to vaccinate their children has received wide public attention, as lower rates of vaccination coverage in certain communities have contributed to outbreaks of vaccine-preventable diseases, for instance of measles in California in late 2014 and early 2015. In this and similar outbreaks over the last several years, the vast majority of the infected people were unvaccinated or of unknown vaccination status. The problem with low vaccination rates is that they disrupt herd immunity: vaccinating a sufficient number of individuals helps reduce the chances for a disease to spread through a population. This means that even people who are not immune to the infection — including those who are not vaccinated as well as those for whom vaccinations do not provide complete immunity — are less likely to be infected if those around them are protected. Poor vaccination rates, then, can affect other people than just unvaccinated children. The heated responses from vaccine supporters and critics alike to news of disease outbreaks and low rates of vaccine coverage reflect the intensity of the conflict over the safety, efficacy, and necessity of the vaccines themselves. When the Los Angeles Times urged in an editorial on the California measles outbreak that the anti-vaccine movement “get over its ignorant and self-absorbed rejection of science,” prominent vaccine critic Barbara Loe Fisher responded, “Name-calling is a convenient way to deflect attention from inconvenient truths about vaccine failures and the dissolving myth of vaccine-acquired herd immunity.” Dr. Paul Offit, a professor of vaccinology and pediatrics at the University of Pennsylvania and a prominent vaccine supporter, has been told by vaccine critics that he has “blood on [his] hands” and is “directly responsible for the death and damage of hundreds of children.” Such exchanges do not bode well for the kind of education and persuasion that are needed to ensure vaccination coverage. It is true that high vaccination rates are important for public health, and when people make false claims about the dangers of vaccines it is the responsibility of scientists, journalists, and politicians to criticize and refute them. But calls to ostracize and ridicule vaccine critics may be as likely to harden hearts as they are to persuade. For example, in a recent article in the journal Pediatrics, researchers studying the effects of different communication strategies reported, somewhat counterintuitively, that giving vaccine-hesitant parents more information about the safety of vaccines, or telling them about the risks of vaccine-preventable disease, whether through scientific information, dramatic narratives, or arresting images, were not effective at persuading them to vaccinate their children. And yet, another recent study in Pediatrics suggests that parents are less likely to vaccinate their children if physicians ask them what they want to do about vaccinations (as opposed to taking a presumptive approach and asserting that the children will receive their shots). Given this impasse, where ought we to turn? Perhaps what is needed is a better understanding of the long history of vaccine critics’ objections, going back to the very origins of vaccination. This will help us not to bemoan, accuse, or fight but to educate, persuade, and vaccinate. Before considering the vaccine critics themselves, a brief overview of how vaccines work is in order. Vaccination takes advantage of one of the most impressive aspects of human biology — immunological memory. When the immune system is exposed to viruses or bacteria, it can “remember” their specific features, making it easier to recognize and fight them later in life. This is called adaptive immunity. Adaptive immunity involves two broad categories of responses to infections. In the first of these, called the antibody response, pathogens invading the body stimulate some specialized white blood cells called B-cells to produce antibodies, which are proteins that recognize and bind to specific structures on the surfaces of viruses or bacteria. When antibodies tag these pathogens, other white blood cells identify and destroy the invaders. Other, longer living types of B-cells reside in the bone marrow — they produce low levels of antibodies against the pathogens, often for the rest of our lives. A third type of B-cell acts as a source of “memory” when other B-cells wither and die, and produces more antibodies when they are needed. The second kind of adaptive immunity is the cell-mediated response. During an infection, another kind of white blood cell, the killer T-cell, attacks the intruders. Most of these T-cells die shortly thereafter, but some survive and circulate, waiting for another attack from the same foe. As with B-cells, some T-cells act as a reserve, ready to create more attacker T-cells. The overall result of these two kinds of adaptive immunity is that the body is prepared to defeat a recognized pathogen. Vaccination takes advantage of this without actually giving the patient a disease — so, for instance, when a vaccinated child is exposed to measles, his immune system takes care of the pathogens before they can cause the disease. Some vaccines contain a killed version of a germ. Chemicals like formaldehyde inactivate the viruses or bacteria, rendering them unable to replicate but leaving their surface proteins intact so that the immune system can recognize them. (Jonas Salk’s famous polio vaccine is an example of this kind of “inactivated” vaccine.) Another type of vaccine contains a weakened but active form of the pathogen. (Examples of such “attenuated” or “live” vaccines include the measles, mumps, and rubella vaccines.) A third kind of vaccine helps the immune system respond not to disease-causing pathogens but to the toxins they produce. (The vaccine for tetanus is an example of this “toxoid” type; it teaches the body how to destroy not the tetanus bacteria but the toxin produced by the bacteria.) Other types expose the body to part or parts of a harmful pathogen (such as the injected vaccines for the flu and for hepatitis B). Before scientists understood how immunological memory worked and even before doctors understood the germ theory of disease, people around the world had some vague understanding of immunity. An early record of this can be found in Thucydides’ account in his History of the Peloponnesian War of the plague that ravaged Athens in 430 b.c. Thucydides notes that the “same man was never attacked twice — never at least fatally.” On the basis of observations like these, the practice of inoculation — a riskier and less effective precursor of vaccination in which doctors or other caregivers would take material from infected individuals and administer it to healthy people, allowing them to experience the disease and develop immunity — was developed in several parts of the world as a way to prevent smallpox. Smallpox, more than any other disease, looms large in the history of vaccination. It causes rashes, fevers, muscle pains, vomiting, and pus-filled skin lesions all over the body that disfigure and even blind many of those fortunate enough to survive. In eighteenth-century Europe the virus killed around 400,000 people per year and was responsible for a third of all cases of blindness on the continent. It should not be surprising, then, that smallpox would inspire dangerous experimental efforts to prevent contagion. Early examples of smallpox inoculation date back to around a.d. 1000 in China, where doctors ground up scabs and blew them into the noses of patients to protect them against future infections. Later methods of inoculation, or “variolation” as the practice was often known (from the disease’s Latin name variola), involved removing pus from the skin of an infected person and applying it under the skin of an uninfected patient. Inoculated patients would usually develop a mitigated form of smallpox, while gaining protection from the more severe forms of the disease. The practice caught on in the West in the eighteenth century, as the journalist Arthur Allen recounts in his wonderful history Vaccine (2007). Reverend Cotton Mather, the influential Puritan minister in colonial Boston, received a Libyan-born slave, Onesimus, as a gift in 1706. Allen tells us: “Mather asked him [Onesimus] whether he had had the smallpox.” Onesimus equivocated and “showed his master a scar that remained from a childhood variolation in the land of his birth.” Intrigued by this story, Mather then asked many of the other African slaves in town and found that half a dozen of them had also received this treatment. Source: NIH / Internet ArchiveEventually, Mather threw his weight behind variolation. He convinced a physician in his congregation, Zabdiel Boylston, to take up the practice and Boylston variolated 248 patients against smallpox. But inoculation was far from uncontroversial. In Boston, Mather had to contend with what he described as “deluded” townspeople who responded to his and Boylston’s variolation efforts with “a very Satanic fury” against what they saw as a “devilish invention.” One such deluded and angry variolation opponent even tossed a crudely designed firebomb through a window of Mather’s house with a note that read “Mather, you dog, Damn you, I’ll inoculate you with this.” Fortunately for Mather, the device malfunctioned and did not explode. Diseases are sent, if not for the Trial of our Faith, for the Punishment of our Sins.... there is no one Thing so universally dreaded, as the Disease, which this strange Method of Practice pretends to elude. But ... the Fear of it is an happy Restraint upon many People ... to keep themselves in Temperance and Sobriety. But aside from religious objections to meddling with divine will, there were also medical reasons for treating variolation carefully, since it was far from an ideal method for preventing smallpox. Because it involved inoculating healthy individuals with infectious smallpox material, even in its less severe forms, the practice put patients at serious risk. Depending on the method used, somewhere between one and twenty out of every thousand variolated patients died from smallpox contracted from the procedure. Such a high risk was warranted considering the protection variolation provided against the still very common and far more lethal forms of smallpox. And fairly severe skin lesions near the site of the variolation incisions were a nearly inevitable side effect. The therapy was far from perfect. The transition from inoculation through smallpox exposure to vaccination by exposure to a less dangerous virus was one of the most important developments in the history of medicine. Although a handful of minor figures experimented with vaccination as early as the 1760s, most of the credit rightly goes to English physician Edward Jenner’s work in the 1790s. Jenner, who had been inoculated as an eight-year-old boy in 1757, was intrigued by the observation that milkmaids almost never contracted smallpox, and inferred that their immunity to the disease could be a consequence of their exposure to the pustules on the udders of animals infected with cowpox. eight-year-old James Phipps with cowpox in 1796. This new technique — dubbed “vaccination” because it used cowpox, and vaccus is the Latin for cow — proved safer and more effective than previous inoculation strategies, a fact that was quickly recognized by the medical community, and by governments around the world. Within five years of its publication, Jenner’s 1798 book about the experiment was translated into German, Dutch, French, Italian, and Latin. In 1803, the Germans performed 17,000 vaccinations. That same year, the Spanish started vaccination programs in their colonies; the Netherlands, the United Kingdom, and parts of the United States similarly took up the vaccine. Jenner’s invention was even celebrated by religious figures like Rabbi Yisroel Lipshutz, who in the 1850s described Jenner as a “righteous gentile” for his discovery. credulity of our nation; and of the headlong precipitancy, with which the children of this country were committed to a medical experiment at the risk of their lives.... That a people should be found to contaminate their offspring with a poison taken from the brute creation, of the origin, nature, and effects of which they had not the smallest knowledge, will stand among the incredible tales of some future Pliny. Although skepticism about vaccination dates back to its very earliest days, new political efforts to make vaccines mandatory faced organized activism and resistance. 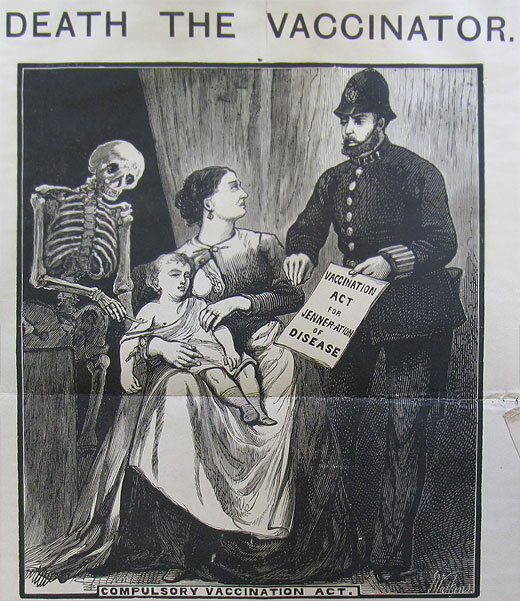 Britain’s 1871 Vaccination Act required the poor to be vaccinated or “face fines, confiscation of property, or the workhouse,” as Allen describes. This relatively draconian measure, though in some ways typical of many Victorian-era poor laws, elicited a powerful backlash, including the formation of the national Anti-Vaccination League. Public vaccinators implementing the law were labeled “baby hunters” and were pelted with eggs and fruit. In response to these sorts of objections, Parliament passed a law in 1898 allowing “conscientious objectors” to abstain from vaccination. (This use of the term “conscientious objector,” incidentally, seems to predate its use describing those who refuse military service.) The way that these coercive vaccination laws stimulated anti-vaccination movements should give us reason to doubt whether increasing the stringency of vaccine requirements will solve our problems today. Opposition to vaccines was also strengthened by the discovery of alternative means of disease prevention. The discovery of the germ theory of disease in the mid-nineteenth century led to an increased interest in the importance of sanitation as a means of preventing disease. In fact, Allen writes, “by the turn of the twentieth century, the public was starting to demand clean water, pure air, and decent housing, and the anti-vaccinators turned this feeling to their advantage.” They argued that bacteria were in the water, air, and streets and that if the government could clean those up, vaccines would not be needed. Public sanitation has of course been an extremely important factor in reducing the incidence of infectious disease, especially waterborne diseases like cholera and typhoid fever. But there are also many airborne diseases like measles and influenza that remain highly contagious even in sanitary conditions, and vaccination continues to be essential for controlling them. 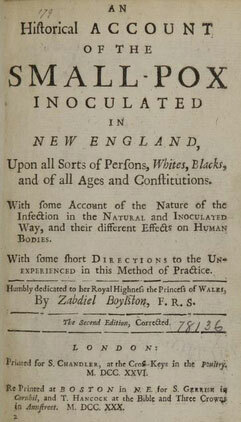 No careful tests were ever made by inoculating at the same time, and in exactly the same way, two groups of persons of similar age, constitution, and health, the one group having been vaccinated the other not, and none of them having had small-pox, and then having the resulting effects carefully described and compared by independent experts. Wallace’s criticisms of smallpox vaccination were by no means anti-scientific or irrational, but neither were they decisive refutations of the efficacy of vaccination. As Martin Fichman and Jennifer E. Keelan argue in their 2007 analysis of Wallace’s claims, the data for smallpox vaccination and mortality rates available in Wallace’s day were not necessarily reliable and were used by vaccine advocates and opponents alike to support contradictory inferences. The American anti-vaccination movement also gave us the Raggedy Ann doll, as Allen explains. The daughter of New York City illustrator Johnny Gruelle was paralyzed after a vaccination administered at her school in 1915. She later died, and Gruelle, believing that the vaccine had killed his daughter (though the medical record attributed her death to a heart defect), created a doll for her with limp limbs and red hair. “The doll,” Allen writes, “became a symbol of vaccine-damaged children” and Gruelle’s daughter became the heroine of his illustrated Raggedy Ann stories. Concerns about the safety of vaccines certainly loomed large in the historical anti-vaccination movements, as did scientific questions about the efficacy and necessity of vaccination as a strategy for disease prevention. Opposition was also motivated by political concerns about the appropriate use of government power to implement public health policies and about government encroachment on personal liberty. In addition to smallpox — which, thanks in large part to vaccination efforts, was eradicated in the 1970s, an astonishing milestone in human history — many other infectious diseases have come to be successfully controlled through vaccination, including polio, diphtheria, tetanus, pertussis (whooping cough), measles, mumps, and rubella. But opposition to vaccination persists. Many of today’s concerns over vaccination are strikingly similar to those of the past: the belief that vaccines are unsafe and unnecessary often joins with a suspicion of government and the medical community. Other vaccine critics argue, in a paranoid style familiar to students of American political history, that there is collusion between government, doctors, and the pharmaceutical industry. The current vaccine controversy, according to Andrew Wakefield, is “the story of how the powerful deal with threats to their interests” and the silencing of doctors who speak out against vaccines “can sometimes be corporate policy.” In an essay in the 2011 anthology Vaccine Epidemic, Wakefield alludes to “the corruption, the collusion of influence, and the rife and undisclosed conflicts of interest” among those who believe in and create vaccines. In another essay in the same volume, a financial-market strategist named Michael Belkin says “the epidemiologist-statisticians from the [U.S. Centers for Disease Control and Prevention] and state health departments” are “pseudoscientists.” He also accuses Dr. Julie Gerberding, former head of the CDC, of receiving a job at Merck’s vaccines division as a “professional award” for having used her government office to expand “universal immunization policies and, in effect, pharmaceutical company profits.” A quarter-century earlier, in their book DPT: A Shot in the Dark, Harris L. Coulter and Barbara Loe Fisher made similar claims, saying that the federal government, vaccine manufacturers, doctors, and legislators were responsible for the ill effects of vaccines, since they all knew about the risks involved in vaccination but “have turned away and minimized them.” And you could go back decades further: insinuations about “interested parties” influencing vaccine policy were leveled by Wallace and Peebles in the late nineteenth century. It seems there will always be critics ready to point fingers at the medical establishment and its putative profiteering. 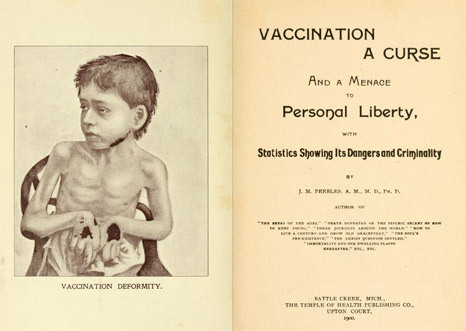 In addition to perennial concerns about safety, efficacy, and the integrity of the drug industry, some of the questioning of vaccines is connected to a relatively recent cultural shift away from what has been called medical paternalism. Alongside a growing emphasis on patient autonomy, we have seen greater respect afforded to the views of women and mothers, as well as trends toward the wider dissemination of scientific information, and toward a broader questioning of reductionist science by the environmental movement. To some extent these are salutary reactions against paternalism, sexism, and technocracy, but they have at times also led to the propagation of irrational fears and the embrace of quackery. Before the mid-twentieth century, it was considered much more acceptable for doctors to decide what was best for patients, with little concern paid to obtaining patients’ informed consent — a doctor generally told a patient what the patient needed, and expected him or her to comply. The unchecked authority of medical experts in those days allowed doctors to trammel the rights of both patients and research subjects. Many of those whose research laid the foundations for modern vaccines, such as Jonas Salk, Maurice Hilleman, and Stanley Plotkin, tested their vaccines on mentally retarded children. Starting in the mid-1950s and continuing for about fifteen years, the infectious-disease doctor Saul Krugman fed hepatitis virus to severely disabled residents of the Willowbrook State School in order to study the virus. The enshrinement of patient autonomy in the 1970s was in part a response to these very serious ethical problems. Over the past few decades, however, the boat has tipped to the other side. Now, patients rate doctors online at sites like Healthgrades or Yelp or Vitals the same way one rates a restaurant. 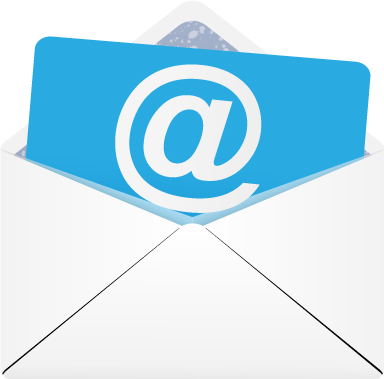 This puts pressure on physicians to give patients what they want rather than what they need in order to garner more business. The government bases Medicare reimbursements, in part, on patient satisfaction scores, putting further pressure on physicians to make patients happy. Dr. Richard Smith, former editor of the British Medical Journal, has explained that the increasing power of patients is bringing us to a point where “there is no ‘truth’ defined by experts. Rather there are many opinions based on very different views and theories of the world.” If a patient wants a test or procedure, he or she can have it. The same goes for refusing it, even against the advice of doctors. Andrew Wakefield seems to exemplify this sentiment when he advises parents to “trust your instincts above all else.” But satisfying patients and practicing good medicine are not always the same; for example, according to a 2013 study conducted at Johns Hopkins, there is little evidence that patient satisfaction corresponds to the quality of surgical care. Another aspect of this cultural transformation is related to feminism. Elena Conis, an assistant professor of history at Emory University and the author of Vaccine Nation (2014), points to a “social movement focused on women’s health” that emerged in the late 1960s. To many second-wave feminists, it was the duty of women to wrest control of their own health issues from a medical profession dominated by males. By the late 1970s, Conis points out, some applied this idea to vaccines. Lea Thompson, the writer-producer of the 1982 television documentary DPT: Vaccine Roulette, indicated that “her reporting was at times directly shaped by her experiences as a woman and mother.” The documentary, which had a huge social and even political influence, emphasizes the price many mothers paid for vaccine injuries to their children. The late Robert S. Mendelsohn, an American physician, proponent of alternative medicine, and noted vaccine critic, joined this growing feminist chorus when he wrote in his book Male Practice (1981) that women were the “primary victims” of “medical and surgical overkill.” Over time, the concerns about male dominance in health care turned into a larger struggle for freedom of choice. Indeed, the focus on freedom of choice, as well as a suspicion of the power wielded by government and the pharmaceutical industry, Conis argues, created some strange bedfellows: liberals in the women’s health movement united with some conservatives and libertarians to oppose vaccines. From the mothers’ point of view, since they had to bear the hardship of vaccine side effects, it was their right to decide whether vaccination was, in a sense, worth it. on Oprah’s TV show in 2007. Courtesy Oprah.comThe journalist Seth Mnookin, in his book The Panic Virus (2011), describes how Jenny McCarthy’s 2007 appearance on Oprah Winfrey’s talk show illustrated many of the problematic trends in the democratization of knowledge. “The University of Google is where I got my degree from,” McCarthy said on the show. In response to experts from the CDC affirming that vaccines are not linked to autism, McCarthy said that “my science is named Evan [her son], and he’s at home. That’s my science.” She also said that it was her “mommy instinct” that allowed her to “know what’s going on in his body.” Several other TV shows with big audiences — such as The Dr. Oz Show — have also given a platform to critics making medically misleading claims about vaccines. Unsurprisingly, the Internet has given many activists a place to share information and ideas and to reinforce their beliefs about vaccines. As Mnookin puts it, on the Internet “it’s easier than not to fall down a wormhole of self-referential and mutually reinforcing links that make it feel like the entire world thinks the way you do.” Vaccine-critic communities and autism groups that oppose vaccines have their own online forums in which parents desperate for answers can read up on the latest theories about the deleterious effects of vaccines. Mnookin describes the case of Michelle Cedillo, a child with severe autism whose parents discovered an “online community of families devoted to nontraditional treatments” for autism and “learned more about the dangers of vaccines.” Eventually, after hearing about Andrew Wakefield’s theories, Michelle’s parents “had become convinced that Michelle’s illness had been triggered by her first dose of the MMR vaccine.” The family sued for compensation from a federal program set up to pay victims of provable vaccine injuries, but the “vaccine court” — about which we will have more to say later — ruled that the family failed to prove that Michelle’s autism was caused by vaccination. Vaccine opposition has also been stoked by the rise of environmentalism, with its focus on the ideas of the balance of nature and the dangers of technological interventions. Many vaccine opponents make appeals to the value of the body’s natural defenses or to the importance of maintaining a balance between a person’s “inner environment” and the external world. According to one Maine chiropractor interviewed by Elena Conis, “there is a wisdom within the body,” which “has the most complex organic machinery in the world. It produces all the chemicals one will ever need to be healthy.... The wisdom that created our bodies is far superior to the finite mind of all the scientists in the world.” On this view, vaccines are unnecessary because the natural balance of our own bodies can provide us with everything we need. Sometimes vaccine critics point to other substances that have been widely used but that have been shown to harm health, including toxins in cigarettes and pesticides. Is it not possible that vaccines might be just as dangerous? For example, Conis mentions Cynthia Cournoyer, a freelance writer, who listed a group of vaccine ingredients in a pamphlet critical of vaccines and their “toxic” effects. Aluminum phosphate, we are told, is used in deodorants and is “toxic.” Other ingredients are “volatile” or, with regard to mercury, “not easily eliminated from the body.” But this is an example of ignoring the classical adage that the dose makes the poison. Barbara Loe Fisher employs similar environmentalist rhetoric, claiming that: “Depending upon the vaccine, there are additives that may affect an individual child’s health, including aluminum, mercury, formaldehyde, MSG, antibiotics, Polysorbate 80, egg and other animal protein or DNA, in addition to lab-altered viruses and bacteria.” For Fisher, the evident unnaturalness of these ingredients reinforces the idea that they will be harmful. So are vaccines safe, or do they harm children? In medicine, as in the rest of life, safety is a relative term. Medical interventions always pose some risk to the patient, but risks can be justified by medical benefits. For the purposes of both good medical practice and public health, all that needs to be shown is that the risks of side effects from vaccines are outweighed by the benefits of the protection that vaccines provide. Historically, many inoculations and vaccines resulted in serious side effects. A fraction of patients died from smallpox contracted through variolation, and scarring from variolation was common. But variolation saved more lives than it harmed, and variolated patients fared better than those who acquired smallpox naturally. For instance, in Boston in the 1700s — before Jenner popularized vaccination — a patient who was inoculated with smallpox had a roughly 1 or 2 percent chance of dying from the disease contracted during the procedure. But a patient who acquired the disease naturally, without inoculation, had a much higher likelihood of dying: between 10 and 33 percent. After Jenner’s breakthrough, early vaccination techniques still posed a variety of risks. Vaccination in the nineteenth century usually involved using material from individuals who had been infected by cowpox, but these individuals sometimes carried other diseases that could be passed to the vaccinated patients — as happened to dozens of children in Italy in the 1860s, who developed syphilis from vaccinations and died. In the 1890s, some of the biggest vaccine producers were found to have distributed in Philadelphia needles contaminated with bacteria. In 1901, cases of tetanus, some deadly, were found to be caused by contaminated diphtheria vaccines. more than one hundred thousand children were inadvertently injected with live, dangerous polio virus. Worse, children injected with Cutter’s vaccine spread polio to others, starting the first and only man-made polio epidemic. When the dust settled, live polio virus contained in Cutter’s vaccine had infected two hundred thousand people; caused about seventy thousand to have mild cases of polio; permanently and severely paralyzed two hundred people, mostly children; and killed ten. That episode — which Offit rightly describes as “one of the worst biological disasters in American history” — must be remembered in the context of the ravages of polio, which in the early 1950s crippled 35,000 people each year in the United States alone. Today, thanks to vaccination, the disease has been eradicated from the United States and nearly eradicated around the world. Even though vaccines continue to grow safer over time, they undoubtedly still have some side effects, as is also true of antibiotics, surgical procedures, and blood pressure medication. For example, some vaccines contain ingredients intended to enhance the body’s immune response to the vaccine; in some patients, these added ingredients can cause problems ranging from slight inflammation at the injection site to major allergic reactions, or worse. Sometimes, the medium in which a vaccine has been cultured can cause problems; people who are severely allergic to eggs are not allowed to take some forms of the flu vaccine since they contain egg products that can cause a severe allergic reaction. Other vaccine side effects can include soreness, redness, itching, bleeding, or swelling at the injection site. Studies have shown that the MMR vaccine causes a small increased risk for febrile seizures — convulsions and unconsciousness associated with high body temperature. But febrile seizures are short and relatively benign, and they naturally occur in 2 to 4 percent of all children under the age of five in the United States and Europe. Thus while febrile seizures are terrifying to watch, they are rare side effects of the MMR vaccine and are usually harmless. Furthermore, vaccines actually prevent some diseases that cause febrile seizures. As noted above, one of the chief safety concerns raised by vaccine opponents is that increased vaccination rates beginning in the 1970s may have contributed to the sharp rise in autism diagnoses over the past several decades. (Fewer than 1 in 3,300 children were diagnosed with autism in the 1970s; today that figure is around 1 in 68.) The causes of this rise are still unclear, but better autism screening has surely contributed to the higher rates of diagnosis. Vaccine opponents, however, claim that vaccines are to blame: more children are getting vaccinated than in the past, and more doses of more kinds of vaccines are being administered (the CDC currently recommends vaccination against sixteen diseases for children). Most often, fingers have been pointed at the MMR vaccine, since the symptoms of autism tend to emerge at roughly the same time that children receive it — between ages 1 and 2. Much of the concern over vaccines and autism can be linked to the discredited research of Andrew Wakefield, who claimed in a now-retracted 1998 paper that the MMR vaccine may contribute to gastrointestinal inflammation that may result in autism. The presence of the mercury-containing compound thimerosal in vaccines has also been proposed as cause of autism, since exposure to mercury is known to have neurotoxic effects. ● A 2002 study, published in Pediatrics (the journal of the American Academy of Pediatrics), examined data reflecting over 500,000 vaccinations in Finland in the 1980s. “We did not identify any association between MMR vaccination and encephalitis [brain swelling], aseptic meningitis, or autism,” the researchers wrote. ● A 2005 paper in the Journal of Child Psychology and Psychiatry examined data for about 31,000 children born in Yokohama, Japan from 1988 to 1996. What makes this paper so interesting is that the combined MMR vaccine was phased out in Japan in 1993, so that none of the children born in the last four years studied (1993 to 1996) received that vaccine. (They were given separate vaccines instead of the combined vaccine.) And yet rates of autism actually rose for the age cohorts that did not receive the MMR vaccine, showing that MMR “cannot explain the rise over time in the incidence” of autism. ● A 2013 study in the Journal of Pediatrics set out to see whether there was an association between autism and “the level of immunologic stimulation received from vaccines administered during the first two years of life.” The authors determined that an increased exposure to ingredients in vaccines that stimulate antibodies was “not related to the risk of developing” an autism spectrum disorder. The evidence overwhelmingly shows that there is no link between the MMR vaccine specifically, or several vaccines taken together during childhood, and the development of autism. More studies will be done, of course — good science and good medicine demand no less. And as personalized medicine advances, hopefully more research will investigate not just the broad questions of whether vaccines are “safe” or “unsafe” in general, but rather for whom vaccines are safe and unsafe, so that physicians and patients can better understand risks on a case-by-case basis. But why does the safety of vaccines matter so much to us on a policymaking level? Why not let parents decide if they should vaccinate their children? Surely, some say, this is an individual and not a public-policy decision. In truth, however, the public has a stake in vaccination rates because vaccines affect not only the health of the individuals vaccinated but of the community as a whole. In order to understand this, let’s revisit the concept of herd immunity, which is an important part of the public health rationale for encouraging or requiring vaccinations. If fewer people can catch the disease, then fewer people can spread it, so even people who are not vaccinated are less likely to contract the disease if those around them are protected. The proportion of the community that needs to be individually immune to a disease in order to provide herd immunity is higher for diseases that are more contagious. So for pertussis, a highly contagious disease, 92 to 94 percent of the community must be immune in order to protect those who are not immune, while for the flu, which is less contagious, herd immunity is achieved with 50 to 75 percent of the population. For measles, the disease that has most recently been in the news, 83 to 94 percent of a population must be individually immune to confer herd immunity. Because vaccination does not always guarantee complete immunity to disease, however, vaccination rates need to be higher than these theoretical immunity rates in order to secure herd immunity. As an example of the dangers of low vaccination rates we can look to California. During the 2013–14 academic year, many schools in California reportedly had vaccination rates far below the threshold for herd immunity: at the Kabbalah Children’s Academy in Beverly Hills, only 40 percent of the students were vaccinated for the measles, and at the Westside Waldorf School in Pacific Palisades, only 36 percent were. Rates like these help us account for a sporadic reemergence of the virus in the United States over the past decade: there were 140 measles cases in 2008, 212 cases in 2011, and 159 cases in the first eight months of 2013. In the recent outbreak centered at Disneyland in late 2014 and early 2015, 110 residents of California were infected with measles. These are troubling reemergences of a disease that, before being curbed by vaccination, used to kill hundreds of Americans every year and infect millions. The evidence behind herd immunity is not just anecdotal. It is scientific and robust, just as it is for the relative safety of vaccines. A 1999 study in the Journal of the American Medical Association found that unvaccinated individuals were “35 times more likely to contract measles than were vaccinated persons.” The authors argued that if rates of vaccine refusal within a population doubled, the incidence of measles would go up significantly. More recently, a 2008 study in the American Journal of Epidemiology by Saad B. Omer and colleagues demonstrated not only that vaccine refusers themselves are at an increased risk of disease, but that the “community-level risk of outbreaks is also increased in the presence of geographic clusters” of people refusing vaccines. Because the parents of unvaccinated children tend to live together in communities with low vaccination rates, the risk increases for each unvaccinated child, including both those who have specific medical reasons for not being vaccinated as well as those whose parents refuse vaccination out of a more general sense of concern. Admittedly, herd immunity does not always work. There are instances in which a population with widespread vaccine coverage can still see outbreaks of a disease. In Quebec City, Canada in 2011, there was an outbreak of more than seven hundred cases of measles in a population vaccinated at about the same level as most of North America (more than 90 percent of the people had received the full two doses of the measles vaccine). Analyzing that outbreak in a 2013 paper, researchers noted the freakish and unpredictable combination of factors that produced the perfect storm in Quebec, including sheer bad luck: “Serendipity probably played a role.” The first patient to contract the disease in that outbreak happened to acquire it by “chance exposure” at an airport, and happened to have a job — working in a school — that favored “broad and swift transmission.” This case, and a few rare instances like it, remind us that herd immunity is not perfect. Over the years, vaccine policy has been shaped by both real and perceived risks, as both government and the medical establishment have reacted to concerns from the public and the companies that make vaccines. Let’s start with the legal framework. Given that vaccines do carry some small degree of unavoidable risk, any company that manufactures vaccines could face lawsuits filed by patients who were harmed — or who at least believed themselves to be harmed — by the vaccines. Such litigation could be costly, perhaps even bankrupting the vaccine makers. To prevent such a scenario, nineteen countries have established mechanisms for compensating victims and families accidentally harmed by vaccines. The U.S. approach to this problem was developed in the 1980s, when the negative publicity surrounding vaccines in the aftermath of the documentary DPT: Vaccine Roulette and the book DPT: A Shot in the Dark left many policymakers on both sides of the aisle worried that the manufacturers might stop making vaccines unless they were protected from liability. And so in 1986, Congress passed and President Reagan signed legislation creating the National Vaccine Injury Compensation Program, colloquially known as the vaccine court even though it is not a true judicial body. Ever since, nearly all substantial U.S. claims against vaccine makers have gone through this program. Money collected from an excise tax on each dose of a vaccine is used to compensate the plaintiffs whose claims are approved by the program. The program does not require robust scientific evidence or evidence beyond a reasonable doubt proving that vaccines caused harm — it requires only a level of proof of “more probable than not” or “50 percent plus a feather,” as one ruling described it. This means that various adverse events not proven to be caused by vaccines are compensated for by the court, including Sudden Infant Death Syndrome, Attention Deficit Disorder, and epilepsy. By 2009, the average award was $900,000, as Paul Offit notes in his book Deadly Choices (2010). Critics of vaccination sometimes complain that by protecting vaccine manufacturers from liability, this program removes a crucial incentive — the cost of lawsuits — to make vaccines as safe as possible. This is a legitimate concern, and it is one reason that the U.S. government has set up mechanisms for keeping track of the instances of harm caused by vaccines. One is called the Vaccine Adverse Event Reporting System (VAERS), which anyone, including those lacking scientific or medical expertise, can use to report adverse side effects from vaccines. A joint project of the CDC and the Food and Drug Administration (FDA), VAERS funnels information about adverse reactions to those agencies so they can investigate as appropriate. Another federal program designed to monitor the effects of vaccination is the CDC’s Vaccine Safety Datalink (VSD). Unlike VAERS, which focuses on adverse reactions and to which anyone can contribute, VSD collects all vaccine-related data from nine big health care providers around the country. This pool of data allows the CDC, as well as outside researchers, to track the safety and efficacy of new vaccines and to follow up on complaints raised through VAERS. The government has also funded and directed research to improve the safety of vaccines — a fact that directly challenges some vaccine critics’ belief that the government, the medical establishment, and pharmaceutical companies are seeking to conceal and cover up vaccine risks. For example, in 1995 the CDC and the American Academy of Pediatrics found via the research of John Salamone (a concerned parent whose son had been injured by a polio vaccine) that the Sabin vaccine had a small risk of causing polio. The virus in the vaccine was live and in very rare cases was not weakened enough, causing debilitating disease. Thus, pediatricians in the United States switched to Jonas Salk’s vaccine, which was made from killed virus. Another example of improvements in vaccine safety came in 1997, when the CDC recommended switching from one vaccine for pertussis to another. In the 1980s, the book DPT: A Shot in the Dark had claimed that the “whole-cell” version of the vaccine can cause brain damage and Sudden Infant Death Syndrome. Epidemiological studies have not shown that to be true, although the “whole-cell” version of the vaccine does have a higher occurrence of side effects than the less efficacious “acellular” version. In countries with a higher incidence of whooping cough infections and poorer quality health care, the more effective vaccine can certainly be worth the slightly greater risks. In the United States, where vaccination has already dramatically reduced cases of pertussis, a less effective but slightly safer vaccine may make more sense. Some government vaccine recommendations switch rapidly. In 1998, the CDC recommended the universal use of a vaccine against rotavirus, an infection that causes diarrhea. However, the vaccine was soon found to cause an increased number of cases of the intestinal disorder intussusception among children. In response to this risk, the CDC withdrew its recommendation in 1999 and the company producing the vaccine took it off the market. Yet another example of government action to deal with vaccine-safety concerns involves thimerosal, the additive that some vaccine critics long believed was associated with autism. In the late 1990s, scientists and physicians at the FDA and CDC began to reexamine the safety profile of thimerosal. It had been used since the 1930s as a preservative to ensure that vaccines were not contaminated with bacteria. Thimerosal contains ethyl mercury, which is not the same as methyl mercury, the mercury compound found in the environment that is known to accumulate in the brain and cause long-term health problems. Methyl mercury is actively transported across the blood-brain barrier while ethyl mercury is not, so ethyl mercury is much less likely to cause neurotoxicity. After looking at the data on thimerosal, the World Health Organization stated that “there is currently no evidence of mercury toxicity in infants, children, or adults” exposed to thimerosal through vaccination, and that the public concerns about thimerosal did not justify changing vaccination policy. Nonetheless, despite the lack of evidence of harm, the CDC discontinued the use of thimerosal in vaccines in 2001. These examples of action to improve the safety of vaccines show that the medical community and the U.S. government take seriously the risks associated with vaccines. But critics still question the wisdom of vaccine policy. They sometimes point out that the U.S. government recommends more vaccines than any other country, and that the number of recommended vaccines seems to keep rising without cease: the CDC recommended vaccination against seven diseases in the late 1970s, and today that figure stands at sixteen. However, actual vaccine requirements are almost entirely a matter for state and local governments (and usually linked to school enrollment) rather than the federal government, and not all states have vaccine mandates against all the diseases listed by the CDC. Also, many of the differences between countries’ varying vaccine policies can be attributed to the complications of politics and medicine: the science is always advancing, the consensus about medical best practices is always shifting, and the political possibilities are always evolving. Like many other countries, the United States relies on technical advisors to guide national policy and make recommendations on vaccination schedules. As described in a recent review of national vaccine policies, different countries’ technical advisors rely on different methodologies involving different criteria for evaluating vaccines. And contrary to the claims of vaccine critics that extensive vaccination recommendations in the United States are evidence of corruption, the U.S. government’s technical advisory group is the only one in the world with meetings open to the public. The history of vaccines contains clear cases of risks and injuries. But time and again, physicians, scientists, and the government have changed vaccines and vaccine policy to make vaccines safer. Sometimes, as in the case of the removal of thimerosal from vaccines, changes were even made to allay relatively unsubstantiated but widely felt concerns. Nonetheless, vaccine advocates should continue to acknowledge the minor risks posed by vaccines and the need for ongoing research to identify and mitigate even small hazards. We know that vaccination has saved millions of lives. In the United States alone, it has prevented over 100 million cases of polio, measles, rubella, mumps, hepatitis A, diphtheria, and pertussis since 1924, according to a recent estimate. And we know that unvaccinated people are at a higher risk of infection and put others around them at a higher risk of infection. We should remember, too, that anti-vaccination sentiment in the United States is not as strong as media coverage sometimes makes it seem. According to a recent CDC survey, vaccine coverage remains very high, with roughly 95 percent of children receiving the recommended doses of some of the most important combination vaccines. The geographic concentration in particular communities of people refusing to vaccinate leaves those communities at a higher risk of outbreaks, but vaccine-preventable diseases are thankfully very rare in the United States; the chances for an American child to contract measles remains extremely low. And yet the debates over vaccine policy are unlikely ever to fade away entirely, as much as we might like them to. Some vaccine critics, like those in centuries past, are motivated by perennial worries about safety, others by libertarian fears about government-mandated medical treatments, and still others by a suspicious distrust of drug companies and of the medical establishment. It is hard to see how these concerns — an eclectic combination of arguments compounded by recent ideas about patient autonomy, feminism, and environmentalism — are going to disappear, even if their consequences can be harmful. Because the arguments and cultural expectations of vaccine critics are so wide-ranging and so persistent, they are unlikely to be satisfactorily rebutted in a short news segment. And because the studies about how best to approach vaccine-critical parents are unsettled, the routine checkup with the pediatrician or the family-medicine physician will remain the first line of defense against the latest incarnations of anti-vaccine arguments. Parents bring their young children regularly to the doctor’s office, allowing, ideally, for a forthright discussion about vaccines. In this setting, parents should be able to raise their concerns — worries about toxins, efficacy, safety, or corporate and government control. The physician, hopefully well versed in these diverse arguments, their history, and their evidence, should be able to address them one by one. For candid doctor-patient conversations about vaccines to be worthwhile, parents will have to be open-minded about the data and science even after wandering in the echo chambers of blogs and Internet chat forums. Moreover, physicians have to spend time speaking honestly with parents about vaccines. Radical patient autonomy cannot be allowed to hamper the essential doctor-patient relationship, which requires a balance between patients’ wants and needs and the authority of the well-trained physician. There is no way of guaranteeing that all children will receive the recommended vaccines, but good relationships between doctors and parents are the most effective way of countering the objections to vaccination. 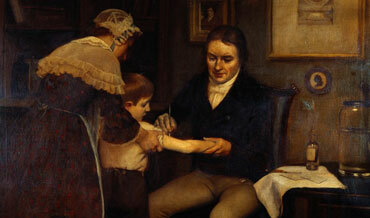 In an 1806 letter to Edward Jenner praising the scientist for his development of the smallpox vaccine, President Thomas Jefferson judged that “Medicine has never before produced any single improvement of such utility” and that “future nations will know by history only that the loathsome small pox has existed and by you has been extirpated.” Smallpox vaccination ranks high among the greatest medical achievements in history, and vaccination against other diseases remains one of the most valuable tools we have for protecting both individual and public health. Ensuring the continued success of this lifesaving practice will mean recognizing that vaccine skeptics and critics will always be with us, and that the task of public education about vaccines is one that never ends. Aaron Rothstein, M.D., is a neurology resident at the NYU School of Medicine. His blog is called Practicing Medicine. Aaron Rothstein, "Vaccines and Their Critics, Then and Now," The New Atlantis, Number 44, Winter 2015, pp. 3–27.